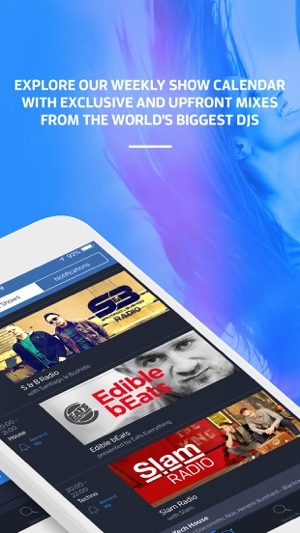 Experience and discover electronic music a better way: DI.FM is a 100% human curated electronic music platform, designed to satisfy all of your listening cravings. Join DI.FM today and start hearing DJ's, artists, audiophiles, producers, and dedicated music collectors curate, stream live, and drop mixes that inspire, transport, energize and relax. 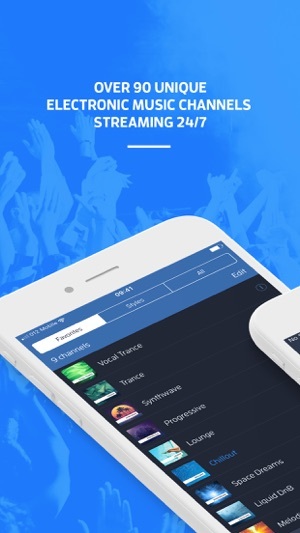 Choose from over 90 electronic music stations and join a community that's the first to hear brand new exclusive sets, classic favorites and all the innovative music in between. 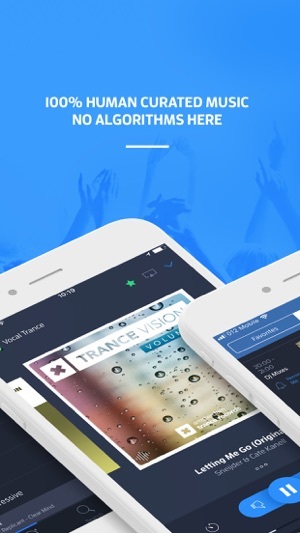 Download the app and discover a place where fresh new music is released daily, great classics are revisited, and you can always share your favorite electronic music with friends. Stream past episodes - mix show archive available feat. over 15 years of music! Premium access to all our other music platforms: JAZZRADIO.com, ClassicalRadio.com, ROCKRADIO.com, and RadioTunes. 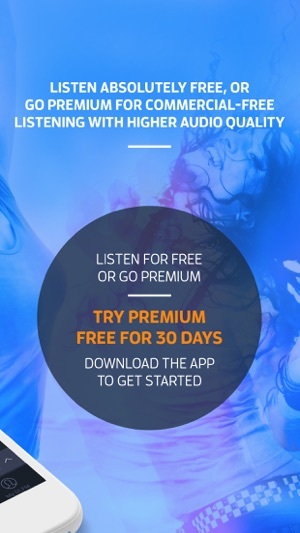 Enjoy access to 200+ additional channels of music! *Payment will be charged to iTunes Account at confirmation of purchase. You can manage your subscription and auto-renewal by going to the your Account Settings after purchase. Any unused portion of a free trial period, if offered, will be forfeited when you purchase DI Premium. -Added CarPlay support! Available on select cars, listen to your favorite music all in a way that allows you to stay focused on the road. Just connect your iPhone and go. I like it...but before they updated. I love that you can listen to shows on this app! However I cannot stress how I wish they didn’t remove the ability to navigate through the radio show. If I found a song I like within the show, or need to pick up where I left off in the show I can NO LONGER just move the slider across to the time spot of the show I was listening to. I have to listen to the thing from the beginning every single time, which makes me not even want to bother since it’s hard to finish a two hour show if I have to turn it off in 30 minutes then listen to the same 30 minutes again next time. Thanks for reaching out and providing us with your feedback. However licencing restrictions keep us away from interactive content, which is why the feature was disabled. Sorry about that and thanks for your understanding and support! Music is awesome, but it drops a ton, enough where I don't use it anymore while driving. It's not reception either as I often have 5 full bars and LTE when it drops. Update: music dropping out gets worse and worse. Drops out with full WiFi signal. If I press pause then play it immediately plays again, until the next dropout. I’m sick of it dropping out in the middle of my exercise set. It also takes a very long time to load the first time, sometimes minutes, once again on a full WiFi or LTE connection. 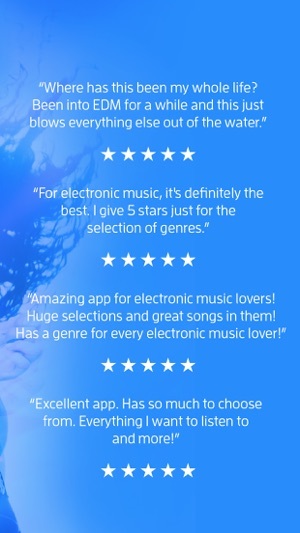 Also lacking many features most other music services provide. Fast forward or rewind. Thumbs up/down. Saving music. Don’t tell me it’s because of price because this isn’t priced much differently than other services. No CarPlay support. No Apple Watch support. No windows app. Etc. Hey there, sorry to hear that you are having issues with our app. Do you mind trying to reinstall the app and if the issue continues please reach out at support@di.fm? © Copyright 2010-2017, Digitally Imported, Inc.